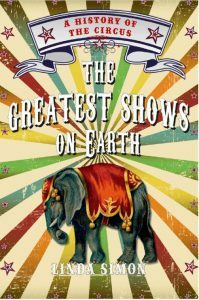 Did you know that the circus came to St. Thomas? However, this show was the first time an elephant was a part of the production! On a cool, Friday evening in December 1835, a fully grown female elephant descended down the ramp of a visiting steamer at the wharf. 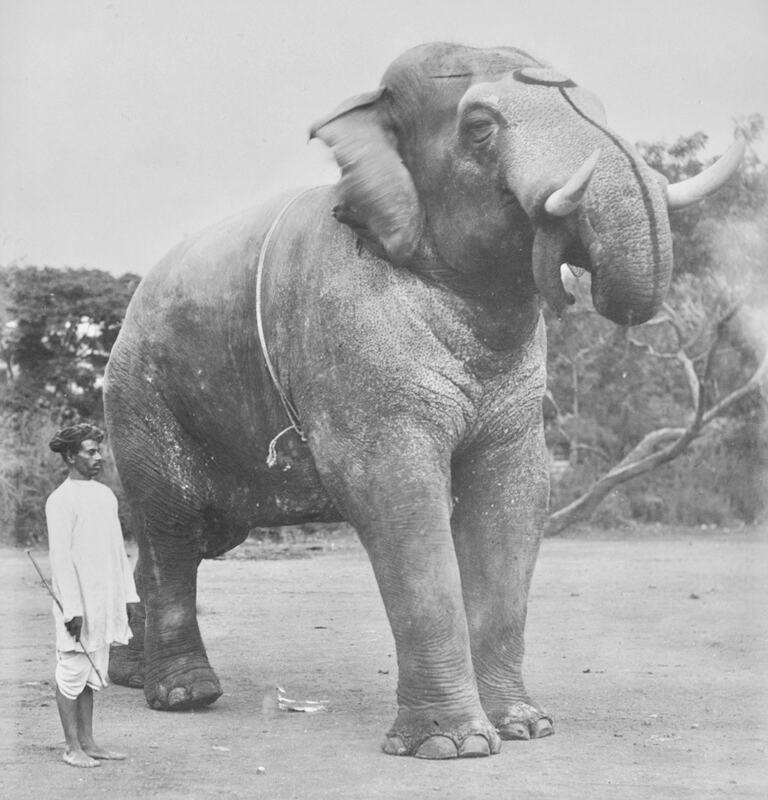 The coal carriers were astonished, for they had never seen an elephant before, nor had anyone! Born in Bengal, India, she traveled the world performing with a small, entertainment show that included trained animals, trapeze acts, dancers and jugglers. Mary was twenty years old, having been imported into the United States in 1831. Experienced and very well-trained, she was capable of performing a number of entertaining tricks. “This became obvious by watching her obey all the commands of her keeper. 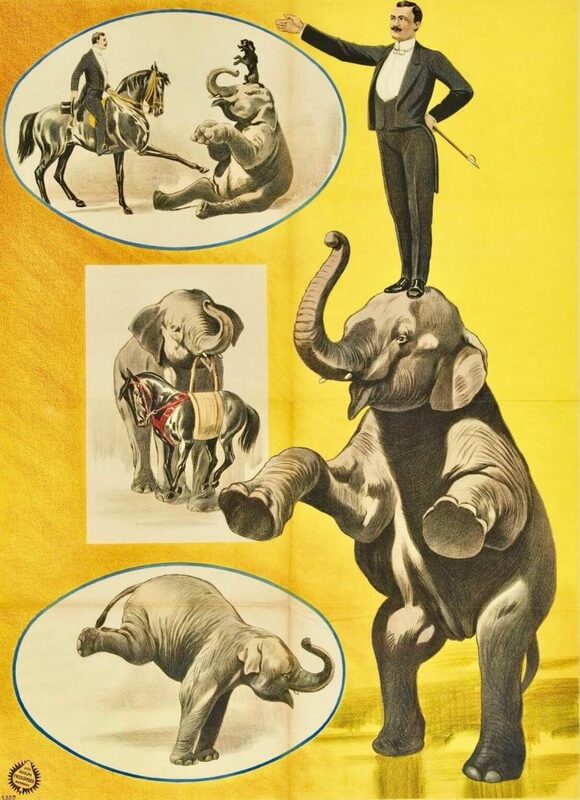 Today, animals performing in captivity are frowned upon, but almost two hundred years ago, the traveling circus was the only way to see these amazing animals. In ancient times, elephants were held in high esteem. When the Monarchs of the East appeared in battle, their wealth and strength rested greatly on the number of these animals. Also performing with the show was the celebrated East Indian Equestrian Monkey. Mounted on his American Pony, he rode around in circles exhibiting many “pleasing acts of horsemanship”. This one-of-a-kind show stayed in St. Thomas for several days, much to everyone’s delight! 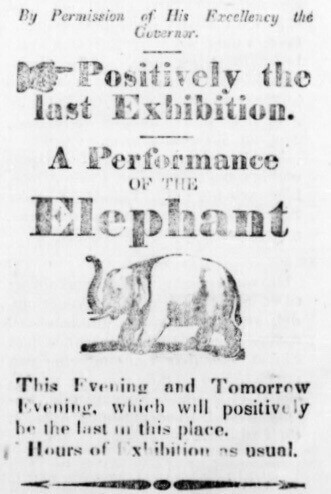 Here is the glowing advertisement for Elephant Mary’s performance. Lady Mary Elephant is preparing to present the public with a pious detail of the different branches of her education. As yet, she is only acquainted with the English tongue, but as she visits different nations, she will, of course, gain a knowledge of their language and names and thereby acquire the just reputation of being the most accomplished young lady of the age. The success which the damsel, Mary Elephant has met with and the desire of a generous public to recapitulate the exhibition, has induced the managers to perform a few more evenings, no doubt to crowded houses, for which Miss Mary will return thanks by doing her duty. The sagacity of the elephant appears to be preeminent to all other forest animals– and when domesticated, capable of performing those imitations that approach nearest to the rational being. 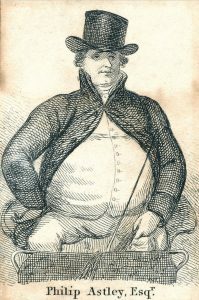 Philip Astley, an English circus owner and inventor is regarded as the “father of the modern circus”. He was a genius at trick-riding and when the audiences responded favorably, he had the idea for opening an acrobatic riding school in 1768. His novel idea was to create a circular arena, which made visibility easy for the audience. This year marks the 250th anniversary since the art-form was first born and celebrations throughout Europe have been scheduled. I always look forward to your next mail.